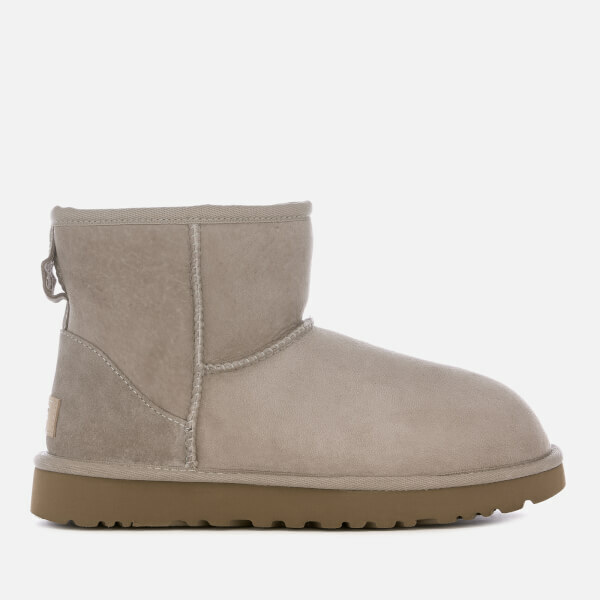 Water-resistant 'Classic Mini II' UGG boots in grey. Crafted from iconic twinface and suede that has been pre-treated to resist water and staining, the light and flexible ankle boot is the epitome of casual comfort. Fitted with signature UGGpure™ wool insole and set upon a Treadlite by UGG™ outsole for enhanced cushioning, durability and traction in both wet and dry conditions. Complete with logo label to the reinforced heel. Upper: Twinface/Suede. Lining: UGGpure™ Wool . 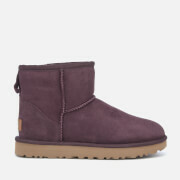 Sole: Treadlite by UGG™.